Browse » Home » dd Freedish , DTH News , e-auction » 39th E Auction Result of DD FREE DISH has been announced. 39th E Auction Result of DD FREE DISH has been announced. 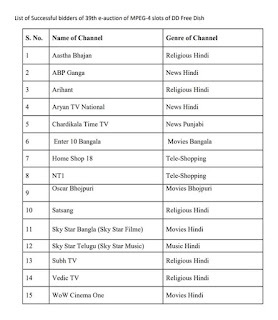 DD Free Dish logo 26FebBidding for the vacant MPEG-4 slots was open to all genre and language channels, with a reserve price set at INR500,000. 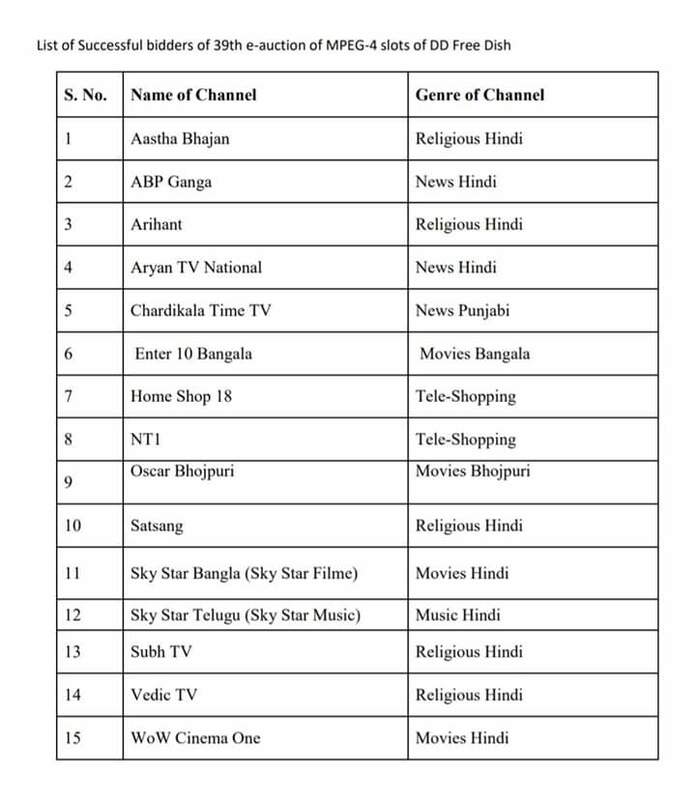 Soon Doordarshan will launch MPEG4 Set Top Box tho watch Mpeg 4 channels.